DENMARK: Acquisitions of rival firms helped increase cable supplier NKT's operating profit (Ebitda) 90.7% year-on-year, the Danish company said. Its Ebitda for 2017 was €138.3 million, up from €72.5 million the previous year, while its revenue was up, from €750.4 million to €1,058 million. NKT split its cabling arm from its cleaning equipment business, Nilfisk, last year. The company also closed the acquisition of rival ABB’s high-voltage cable business in February, while another of its businesses, NKT Photonics, acquired fellow ultrafast laser manufacturer, Onefive, in July. However, the number of projects awarded in the high-voltage market was "at a relatively low level" in 2017, NKT stated. Consequently, the company’s order intake was "lower than expected", it said. 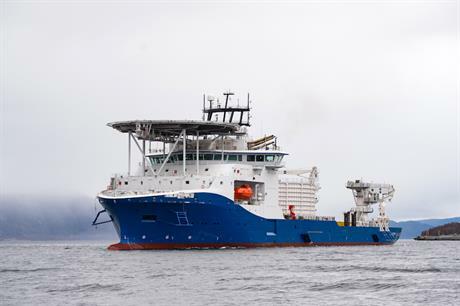 This in turn will lead to "lower capacity utilisation" at its factory — acquired from ABB — in Karlskrona, Sweden, during the second half of 2018 compared to 2017, the cable supplier added. Nevertheless, NKT secured big contracts last year, boosting its revenue 41% year-on-year. It was announced as the preferred cable supplier for the 700MW Borssele Beta platform to transmit power from the Borssele III and IV wind farm to the Netherlands’ onshore grid, as well as for the 860MW Triton Knoll (alongside Royal Boskalis Westminster subsidiary VBMS) and 950MW Moray East projects in the UK. President and CEO Michael Hedegaard Lyng, said: "The financial performance in 2017 was satisfactory and in line with the latest communicated financial outlook. "The new organisation is fully integrated and we are ready to capitalise further on our capabilities." NKT expects revenue of between €1 billion and €1.1 billion and Ebitda of between €90 million and €110 million for 2018, it stated.